MORE than one in 10 people in Singapore will be stricken by mental illness in their lifetime, according to a large, new study here. Many are likely to face depression, the commonest mental illness here. It is projected to affect 170,000 adults, with more women affected than men. Others may be affected by alcohol abuse or obsessive-compulsive disorder (OCD), an anxiety affliction characterised by obsessions, compulsive rituals, as well as intrusive thoughts and impulses. These were the top three mental disorders to surface in the $6.9 million Singapore Mental Health Study, in which 6,616 people were interviewed extensively last year. The problem is a serious one, said Institute of Mental Health (IMH) experts who released the results yesterday. Mental illness can strike at a young age, and most people do not seek help. 'This is of great concern,' said Associate Professor Chong Siow Ann, vice-chairman of the IMH's medical board (research), who led the mammoth exercise. The information from the study, including treatment gaps, will go towards developing new mental health services and policies, and refining current ones, he said. He hopes the results will include less stigma in the community, better care for patients, and more awareness all round. 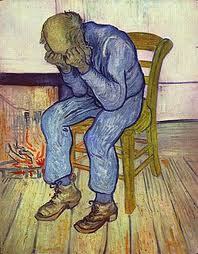 In the study, depression emerged as the most pervasive mental illness here. Characterised by profound feelings of sadness, worthlessness and hopelessness, the debilitating condition is projected by the World Health Organisation to become the second-leading cause of disability worldwide by 2020. In Singapore, it will strike 6.3 per cent of the adult population at some stage of their life. This amounts to 110,000 women and 60,000 men, half of whom will also suffer from a chronic physical illness. Alcohol abuse and OCD are the next most common mental disorders. Mental illness trends here generally follow global trends. A surprising finding, however, is that Singapore has the highest rate for OCD, which hits 3 per cent of people here. The figure for the United States is 2.3 per cent, while in Europe it is 1.1 per cent. The reasons are not yet clear, but the disease itself is affected by both genetic and environmental factors such as developmental upbringing and even illness. The study is an integral part of the National Mental Health Blueprint. The blueprint was launched in 2007 with a number of initiatives to promote mental health, help prevent the development of mental health problems, and reduce their impact. Another important finding is that while the onset of mental illness occurred in most people while they were in their 20s, two in three never sought help. Even those who eventually did took years to do so. On top of that, mental illness also occurred alongside chronic conditions such as cancer, diabetes and heart problems. Half of those with mental illness also had chronic physical ailments. Dr Chua Hong Choon, IMH's chief executive officer, said that there are many efforts to narrow these gaps, such as working with schools and elder-care centres to spot and treat mental illness. More general practitioners are also being roped in to care for patients. The first batch of 20 GPs has completed a graduate diploma in mental health, he said, adding that another 50 GPs have been trained to manage mental illnesses. This will give them better skills in treating such patients, and hopefully encourage more sufferers to come forward to get help, he said. He said that the study made a good case for counselling as an avenue for identifying and even preventing mental illness. 'The point is to prevent the normal downs that we expect in life from becoming an impairment or even making someone non-functional,' said Prof Kwok, head of the division of sociology at NTU's school of humanities and social sciences. It strikes young. The majority of mental illnesses occurred by 29 years of age. Most sufferers do not seek help. Fewer than one in three approach people such as psychiatrists, care givers, counsellors, GPs or religious or spiritual healers. Those who do seek help take a long time to do so. The average time taken ranges from four years for people with depression, to 13 years for those with alcohol abuse. Mental and chronic physical illness such as cancer, heart conditions, diabetes and high blood pressure often go hand in hand. Over 14 per cent of people with chronic physical illness also have a mental illness. Among those with mental illness, over half have a chronic physical illness. Over one in 10 people here will suffer from a mental illness in their lifetime. Depression, alcohol abuse and obsessive compulsive disorder are the three most common disorders. Loss of productivity: Mental illness results in over six working days lost, and about 10 days where work quality is compromised per person. This amounts to 267,418 days lost and 425,238 workdays cut-back on among employees here. The unemployment rate of those with mental illnesses is about twice that of those without such ailments. The figures for mental illness here are in line with global trends but lower than those of Western countries, and less than half the world average - where one in four is estimated to suffer from mental illness in their lifetime. THE Singapore Mental Health Study, a three-year, $6.9 million nationwide study, is the largest and most comprehensive of its kind here. It has shed light on selected mental disorders in the Republic - how common they are, who get them, when they set in, who seek help, and the impact on employment and productivity. Over 6,600 people - Singapore citizens and permanent residents aged 18 and above - were surveyed for the study, which was funded by the Singapore Millennium Foundation and the Ministry of Health (MOH). Led by the Institute of Mental Health, it was a collaboration with MOH, Nanyang Technological University and Rand Health, a research division of Rand Corporation, an American non-profit organisation. An army of interviewers was trained extensively to conduct comprehensive surveys lasting up to four hours with individuals. They were sensitive yet persistent, attempting for up to 10 times to reach interviewees, revealed IMH research division manager and researcher Janhavi Vaingankar. Although they collected data related to some of the most serious mental illnesses - schizophrenia and other related psychoses - these were not included in the study because such diagnoses can be made only by clinicians. Here in one of the most medically advanced countries in the world, we had until recently a dearth of knowledge about the mental health status of the local population and on the nature of the problems faced by those with mental illness. For that matter, we did not have accurate estimates of the number of people with mental disorders who were receiving treatment, nor had we identified the barriers to care, and we did not know what were the social and economic costs of these mental disorders - all of which is necessary for the rational allocation of limited resources and the shaping of better-informed policies. It is heartening that in the last few years, there has been a growing awareness among policymakers of the importance of mental health and that 'there is no health without mental health'. In 2007, we launched our first National Mental Health Blueprint with a number of initiatives to tackle mental health issues and to build a more resilient population. A component of this blueprint is the Singapore Mental Health Study. For policymakers, the eventual findings will provide a wealth of information that not only describes the mental health landscape but will also give that high-quality baseline data to track the trend of the mental health of the population over time, as well as to help evaluate some of the initiatives of the National Mental Health Blueprint. The Singapore Mental Health Study was a household survey that was conducted among Singapore citizens and permanent residents who were aged 18 years and above. A representative sample was drawn which was used to estimate the characteristics of the total population. The collection of information was a mammoth task, with a legion of trained interviewers working tirelessly over one year to interview 6,616 people across the country. The main findings of the study are that mental illnesses are not uncommon in the Singapore population, the onset of these illnesses is relatively early in life, the majority of individuals with mental illnesses do not seek help, and among those who seek help, there is a considerable delay before doing so. Medical and mental disorders often co-exist, with one in two persons with mental illness having at least a chronic medical condition, and most of the mental illnesses in these people were not treated. The unemployment rate of those with mental illnesses is about twice that of those without mental illnesses; and even among those in the active workforce, there is a proportion of workers whose mental illnesses have a detrimental effect on their productivity. There is no perfect study of this nature, so the findings of this study ought to be interpreted in the light of certain inherent limitations. The study was conducted by interviewers visiting households, which meant that people in nursing homes and prisons were excluded. About 24 per cent of people who are eligible for the study refused to participate in the study. Studies carried out elsewhere have suggested that the rates of mental illnesses might be higher among institutionalised people and those who refused to be interviewed. We could not assess all the myriad mental illnesses, choosing instead to focus on a number of key illnesses. These limitations notwithstanding - they would also imply that the overall rate of mental illnesses is likely to be higher than what we have reported - the study has used the latest advancements in epidemiological survey methods and has generated a wealth of information for policymakers and care providers. The findings are also a clarion call for action. First, there is a need to get people who are not well to seek help. Help-seeking behaviour is influenced by many factors, such as the individual's perception and understanding of the problems, the prevailing attitude of family and friends, economic factors like financial resources and the availability of insurance coverage, and the fear (real and perceived) of discrimination and stigma. Measures to address these issues would be those that increase mental health literacy. The public should be educated to recognise the manifestations of common mental disorders and the how, where and who to seek for help. Needed, too, is the continued battle to lessen the stigma of mental disorders, although it is something that is unlikely to disappear any time soon. So, other innovative ways to access help ought to be considered. This would include the use of Internet and telephone-delivered therapy, which has the advantage of alleviating fear of loss of privacy and confidentiality, but more research is needed to evaluate the efficacy and effectiveness of such non- face-to-face therapies in the local population. Second, the professionals in the primary health-care sector are major players. Our study did not examine the degree of collaboration or conversely, the extent of fragmentation of the whole process of care from start to end. Fragmentation of care, unfortunately, is a common situation across health-care systems almost everywhere in the world. Efforts are already in place to pull GPs and mental health specialists together, although less so with other care providers, like counsellors and social workers in the family service centres. This process of working together is often more challenging in practice. It requires skilful negotiation and a high degree of commitment of time and resources for ongoing training and supervision, quality checks and support, including the appropriate financial incentives. Third, the common co-existence of medical and mental health problems means people with chronic physical disorders ought to be screened for mental problems and, by the same token, mental health specialists should routinely assess their patients for physical health problems; and a close collaboration between these groups of health professionals is necessary. Lastly, loss of productivity caused by common mental disorders is considerable. Employers should understand that untreated mental health problems among their employees will have an economic impact and there are programmes in which they can invest. The returns in terms of improved productivity would more than offset the cost of such interventions as shown by some studies. Employees often fail to seek treatment because they fear exposing their condition and risk stigmatisation and possible job loss. Workplace health policies need to incorporate more than the usual programmes to deal with workplace stress: forums to talk fearlessly about common mental disorders, and the importance of timely treatment coupled with the genuine intent to obliterate discriminatory employment policies are needed. Some time ago, an editorial in The New York Times (May 1, 2007) opined that rather than a resolvedly determined way of just looking at the good things and successes, a healthy dose of negative thinking - though painful, as it 'involves finding and exposing your inadequacies, which can be overwhelming' - may be much better when it comes to health care, because it makes us strive to fix the wrongs and do even better. The Singapore Mental Health Study has shown that while the rates of most of the mental illnesses are substantially lower than in Western societies, we ought not to fall into a self-congratulatory, complacent state. The study has also highlighted gaps and inadequacies and it is through the identification and description of the problems that we could work out the solutions. The writers are from the Research Division of the Institute of Mental Health and investigators of the Singapore Mental Health Study. More than one in 10 people living in Singapore will suffer some form of mental illness in their lifetime. And while the onset occurs in most while they are in their 20s, two in three never seek help. This is what the Singapore Mental Health Study - the first-ever nationwide mental health census here - has found. The survey, led by the Institute of Mental Health, studied more than 6,500 residents above the age of 18. Sunday Times correspondent Judith Tan finds out what the four most common mental disorders in Singapore are. What it is: A combination of being depressed, profoundly sad and feeling empty, worthless and hopeless which interferes with a sufferer's ability to work, sleep, study, eat and enjoy once-pleasurable activities. Dr Mok Yee Ming, deputy chief of the department of general psychiatry at the Institute of Mental Health (IMH), said the 'real and complex disorder' affects mental processes, hormonal cycles and even the outcome of many medical disorders. Age of onset: Although the median age at which the first symptoms appear was found to be 25 years, Dr Mok said it affects all ages, even children. Different stages; warning signs: It is associated with depressed moods, anhedonia (inability to enjoy life), sleep difficulties such as sleeping too much or not being able to sleep, appetite issues such as bingeing or not eating, poor concentration, low energy, hopelessness and thoughts of suicide. In severe cases, there may be psychosis like hearing voices. Help: Events such as a break-up, loss of a loved one or setback at work can cause depression. For many, sadness caused by such an event passes. But when the depression drags on for weeks, affecting family, friends and work, it is time to seek help. Help can be found at the family doctor, who may refer the patient to a psychiatrist if necessary. Not getting treatment would worsen the condition, Dr Mok said. Treatment options: MDD can be treated with anti-depressants. But as this medication needs between one and two weeks to take effect, sedatives (sleeping pills) can be used to help with sleep. Psychotherapy has been shown to help. What it is: Alcohol abuse is drinking too much, to the extent that it causes problems in or disrupts everyday life. The key features of alcohol dependence are physical tolerance, withdrawal symptoms and a loss of control over drinking. Who is more prone: Indians, men and those who are divorced or separated. Age of onset: International studies have shown that young adults with disposable income often fall prey. Dr Gomathinayagam Kandasami, acting head of the Addiction Medicine Department at the Institute of Mental Health, said it can start during the teen years or late adulthood. 'Men usually develop drinking problems in their 20s and 30s, while women often seek treatment later,' he said. Different stages: Dr Gomathinayagam said it is not easy to predict how someone can become a victim of severe alcohol-related difficulties as it is 'determined by a complex of biological, psychological and social factors'. Warning signs: Early warning signs are similar to those seen in other addictions - lying to hide alcohol-seeking behaviour, neglect in physical appearance and day-to-day activities, sleep-related difficulties, and frequent emotional arguments with family and friends. Health may also worsen, starting with minor ailments such as gastritis, and progressing to serious ones like hypertension and cancer. There may also be signs of short-term memory difficulties. Help: When a person shows the warning signs, a doctor should be consulted. If treatment is not sought, long-term effects include fatty liver, hypertension, diabetes, psychosis and cancer. Treatment option: Detoxification is the first stage of recovery. Patients may need to take medication during this period. Follow-up treatment includes counselling. 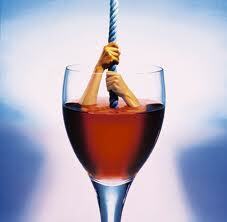 Dr Gomathinayagam said that for recovering alcoholics, maintaining sobriety is a major hurdle. Here, self-help groups such as Alcoholics Anonymous and halfway houses can help prevent relapse. What it is: An anxiety disorder where the sufferer has thoughts, feelings, ideas or fears that drive him to do something repeatedly. This compulsion is time-consuming. Lifetime prevalence: 3 per cent (US: 2.3 per cent; Europe: 1.1 per cent). Who is more prone: Malays and Indians, women, and those who are divorced or separated. Age of onset: Usually in adolescence or early adulthood. Different stages: Intrusive and unpleasant thoughts that recur. A common example of this is the fear of contamination or dirt. This results in anxiety. To neutralise the thoughts, sufferers engage in repetitive behaviour such as constant hand-washing. Warning signs: Often, family members of the patient notice the compulsive behaviour for a few weeks before treatment is sought, said Dr Chai Suet Bin from the Department of General Psychiatry at IMH. 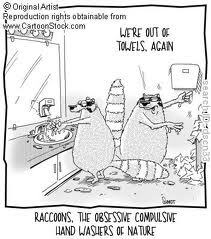 The common types seen include excessive hand-washing, constant checking, counting behaviour and hoarding. If these become severe, it hampers the patient's day-to-day living, Dr Chai said. Many children and young people have compulsive- obsessive behaviour, usually brought on by stress of an upcoming examination or relationship problems. The behaviour is, however, transient and will go away after a few weeks. Help: When a person notices himself or family members having obsessive-compulsive behaviour for two weeks or more, then a psychiatrist should be consulted. Early treatment is essential to prevent further worsening of the condition. If left untreated for too long, Dr Chai said, OCD may develop into depression, which can in turn lead to suicide. Treatment option: Medication and psychotherapy. A psychiatrist needs to confirm the diagnosis to plan the necessary treatment. What it is: Not being able to stop smoking even though it is causing harm. Nicotine dependence is a complex brain disease characterised by compulsive, at times uncontrollable craving, seeking, and use, despite devastating consequences. Overall prevalence: 4.5 per cent. Who is more prone: Malays, men and widowed persons. Age of onset: According to the Mayo Clinic, most people begin smoking during childhood or adolescence. Different stages: 'The initial high from the first puff will draw the smoker in. Wanting that same 'high' will make the smoker continue smoking,' Ms Kng explained. Warning signs: They are similar to other addictive behaviour. 'First there is the craving for a puff, then the constant obsession with smoking cigarettes. 'When the smoker does not have any, withdrawal symptoms set in, resulting in frustration and irritability,' Ms Kng said. Health may also worsen, starting with a cough, and progressing to premature ageing and more serious illnesses such as hypertension, chronic obstructive pulmonary disease and lung cancer. Treatment option: There are several ways to stop smoking. Some stop 'cold turkey', but it is hard for a larger percentage to stop on their own without some type of help. There are products available that can ease cravings and calm withdrawal symptoms. Some are medication such as Zyban and Champix, nicotine blockers which are prescription drugs. Others include nicotine replacement therapy such as gums, inhalers or patches. A support group can also help break the habit. A HALFWAY house will go a long way in helping children and young people with mental disorders get back to living safely in the community. Such a residential facility is what the Singapore Association for Mental Health (SAMH) plans to set up. It will be the first such facility in Singapore as existing ones cater only to people over 18 years old who have mental health issues. The funding for this initiative comes from Temasek Cares, a non-profit philanthropic organisation. Since April last year, it has committed $472,000 over two years towards SAMH's YouthReach programme. With the funding, SAMH is also adding mentorship and a 24-hour helpline under its YouthReach programme. This will help reach out to more than 170 children and young people with mental disorders. Volunteers are also needed for this, said SAMH president Daniel Fung, who is a child and adolescent psychiatrist. 'We are looking for young people to come on board as volunteers to support and guide those struggling with their disorders and to get back to the community,' he said. He added that young people needing the most help are likely to be from the higher-risk groups such as school dropouts. 'While MCYS (Ministry of Community Development, Youth and Sports) is monitoring them, we still need concrete programmes to get them to a safe arena,' he said. YouthReach was started in 2006 to address the lack of community-based support for children and young people with mental disorders. It is the first community-based support programme providing intensive case management strictly for those aged between 11 and 18 who are diagnosed with mental disorders. But it was only in June last year that it expanded to include those at risk with serious psychological or emotional issues. Mr Ang said that, as a result, YouthReach can now help more young people who have not been receiving proper mental intervention. Some activities useful in this area include counselling, art therapy and sports. Despite their afflictions, these children and young people can still develop to their maximum potential and reintegrate with their family and the community, added Dr Fung, who is also chairman of the medical board at the Institute of Mental Health. The new halfway house will help such children and young people further develop social and functional life skills that will enable them to live safely within the community. Ms Woon Saet Nyoon, general manager of Temasek Cares, said a National Mental Health Survey last month found that the number of young people with mental afflictions seems to be increasing. 'We at Temasek Cares want to help provide the financial means for early intervention programmes and equip these kids with life skills so they can get help and don't develop serious mental problems,' she said. Dr Fung added that a residential programme would be ideal to help bridge the transition from hospitalisation to a return to society. 'It is often difficult for an adult with mental disorder to make the transition from being hospitalised to being back in society, let alone a child,' he said. He said the challenge would be to make sure 'we have the support system to handle this and available resources are created within the community to carry it out'. Indeed, the YouthReach programme has shown good results. Of the 140 children and young people helped between November last year and September, about 91 per cent or 127 stayed out of hospital or cut down on the time they were warded. Dr Fung said that only about 1 per cent were deemed 'serious cases', which include major depression, schizophrenia and bipolar disorder. Where do People with Mental Disorders in Singapore go to for Help? What has changed and what hasn't, after GE 2011? How about a Deng Xiaoping award next?